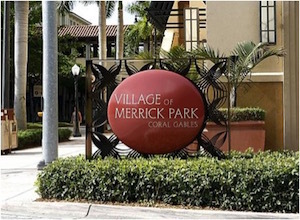 In 2002, the Village of Merrick Park Mall in Coral Gables opened its doors. It is the home to over 100 stores and service providers. When customers and shoppers are injured on the premises, the Village of Merrick Park Personal Injury Lawyers of the Wolfson Law Firm are ready and available to help. The mall was named for George Merrick who is credited as being the developer of Coral Gables. He bought the land in 1914 from Charles Le Jeune who had planted citrus groves after using dynamite to blast the coral rock which previously existed on much of Coral Gables. The mall has multiple floor levels. In an open air mall like the Village of Merrick Park, there are escalators, elevators and stairs. There are also different types flooring in the mall and within the individual stores, shops and restaurants. Good people sometimes get hurt at the Village of Merrick Park in Coral Gables. Like many malls, Village of Merrick Park and many of its shops, stores and eating establishments have video surveillance. However, unless they are placed on notice immediately, they generally have no obligation to keep the closed caption video tapes of your slip and fall. That is why our when an injured person retains our Merrick Park Slip and Fall lawyers they immediately take the necessary steps to place the mall owner and any potential store operator on notice to preserve the tapes as evidence. Our Merrick Park Premises Liability Attorneys in Miami will thoroughly investigate the facts of your accident and determine which parties may be responsible. Depending on the investigation, the owners of Merrick Park might be responsible. In addition, individual store owners like the ones listed above may share in the responsibility. Other potential defendants in a Village of Merrick Park Slip and Fall lawsuit could include security companies, maintenance companies, and management companies. Our Merrick Park Personal Injury Lawyers in Miami have the experience in premises liability cases to perform the investigation to find the responsible parties. If necessary we will retain the experts necessary to prove your case. Once we identify the at-fault companies or persons and develop our theory of the case, we then gather the evidence of your harms and losses. By this we mean your medical bills and records, photographs of your injuries, evidence of the money you lost from when you could not work because of your injuries. Once we have all of the evidence we present a demand for settlement to the potential defendants giving them a reasonable time to evaluate the case and ultimately settle. If they fail to do so, the Merrick Park Serious Injury Lawyers at Wolfson Law Firm will file a lawsuit for you and litigate the case. If we cannot obtain a reasonable offer, our Merrick Park Personal Injury Attorneys will take your case to a jury trial and appeal if necessary. If you were injured in a slip and fall or trip and fall at the Village of Merrick Park, give us a call today. If you may have been hurt in a case of premises liability at the mall and you are not sure if you have a case, just call us at (305) 285-1115 for a free consultation. There is no reason you should have doubts instead of answers and that is what our Village of Merrick Park Slip and Fall Attorneys can give you. The Wolfson Law Firm in Miami has represented, with pride, personal injury clients and the families of wrongful death victims for over 60 years. Jonah Wolfson is a bilingual personal injury attorney in Miami and is available to speak to you now. 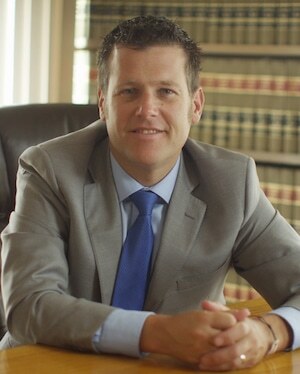 The Wolfson Law Firm also represents slip and fall injury victims in Hialeah, Miami Lakes, Miami International Airport (MIA), Coconut Grove, Miami Beach, Flagami, Fontainebleau, Allapattah, Homestead, The Roads, Coral Gables, FIU, West Kendall, Westchester, Gables-by-the Sea, Princeton, Miami Gardens, South Beach and other cities throughout South Florida.